Two students and three faculty from the School of Health Professions and Human Services’ audiology doctoral program recently traveled to Vietnam to provide free hearing healthcare and services to underserved communities. The Hofstra participants traveled with six other members of the Long Island AuD Consortium, which offers a clinical doctorate in audiology through the cooperation of Hofstra and two other universities, Adelphi and St. John’s. 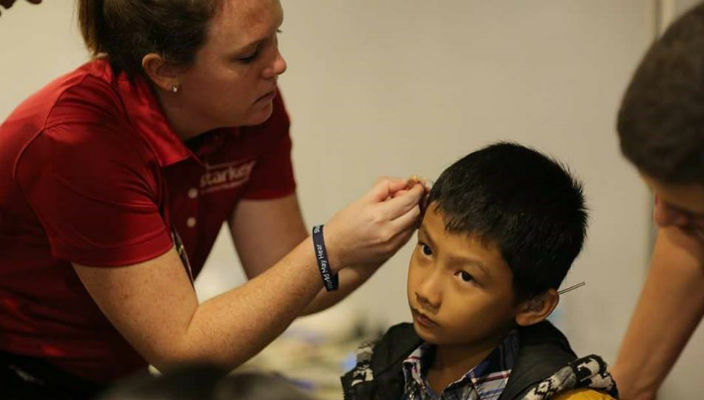 The group spent ten days in January in two cities, Hanoi and HoChi Minh City, where the students were paired up with licensed audiologists and provided hearing services to more than 600 adults and children. During the trip, which was sponsored by the nonprofit Starkey Hearing Foundation, the student clinicians conducted community outreach to identify patients, provide primary ear care services and hearing screenings, and fit hearing aids and custom ear molds on qualified candidates, said Dr. Ianthe Murad, LI AuD clinical program coordinator. Joining Bayer and Murad from Hofstra were student Tricia Christie’17 and faculty members Dr. Rose Valvezan, clinical coordinator of audiology in the Speech-Language-Hearing Clinic in Hofstra’s Saltzman Community Services Center, and Dr. Kathy Scott, associate professor of Speech- Language-Hearing Sciences. They worked with local organizations to train regional workers to provide regular continued community-based hearing healthcare. The trip helped fulfill the audiology program’s mission to provide international opportunities for its students to develop clinical skills and educate communities. The students also noted that the experience gave them an opportunity to understand the culture and bond with the people they were helping. 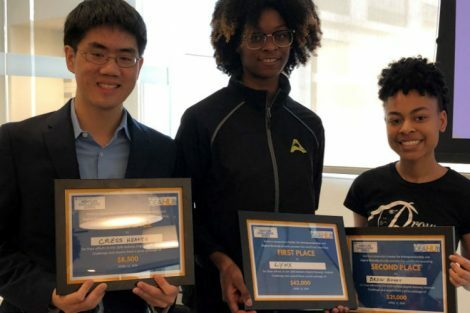 In addition to the five members from Hofstra, the group consisted of four students and one faculty from St. John’s University as well as a faculty member from Adelphi University.